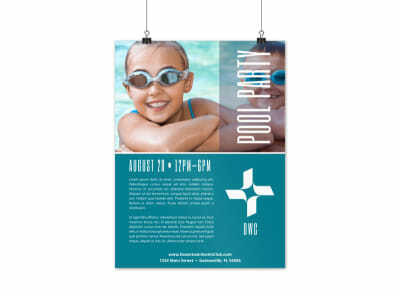 Customize our City Pool Party Poster Template and more! 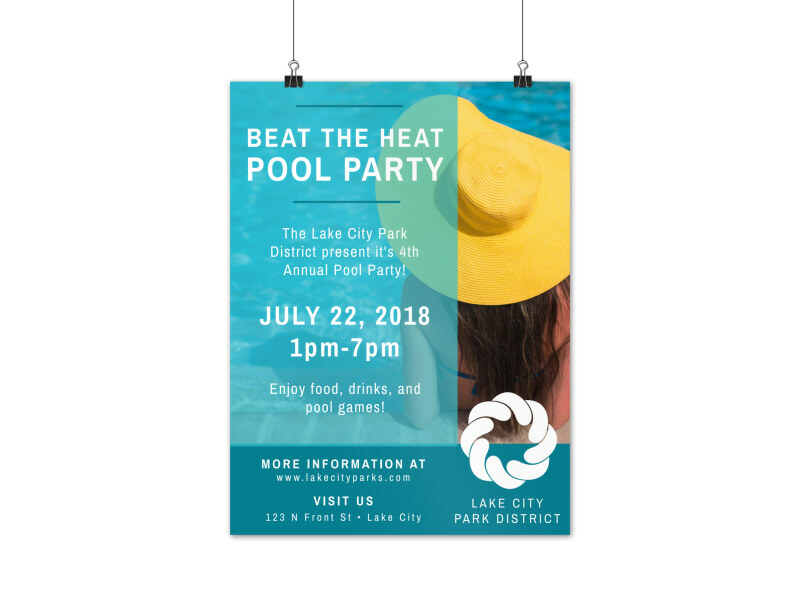 The heat is on - so let the locals know about your city pool’s upcoming party with this fun poster. 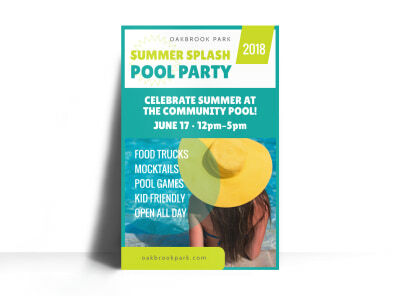 Get everyone ready for some fun in the sun by adding bright summery colors and images to highlight the details on your poster that’s laid out in bold, quirky text. 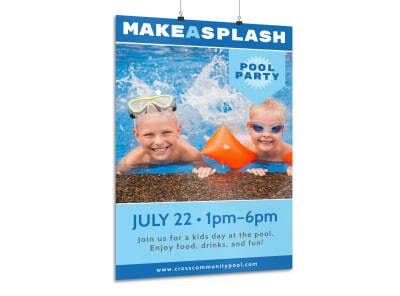 Use our online editor to create your pool party poster today!